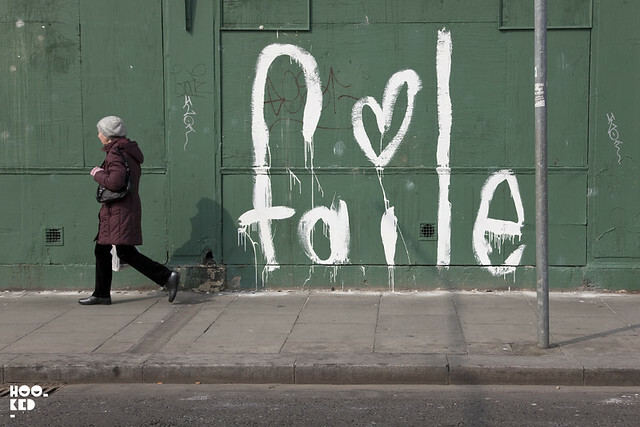 We were honoured to have been invited to Dublin earlier this month to lead a discussion panel at OFFSET2013 with Patrick Miller and Patrick McNeil from NY street art collective FAILE along with Ji Lee, a Communication Designer at Facebook and former designer and creative director at the Google Creative Lab. It was great to finally meet Ji Lee and hear him talk about some of the street projects he worked on before joining Facebook. Many of you will no doubt seen or heard of some of his street projects but might not have realised that they were his projects. The Bubble Project is the one that most of you will have heard of, and saw Ji Lee print thousands of blank speech bubble stickers which were then placed over billboards and various other street level advertising. These then allowed anyone with a pen to instantly respond to the advertising. 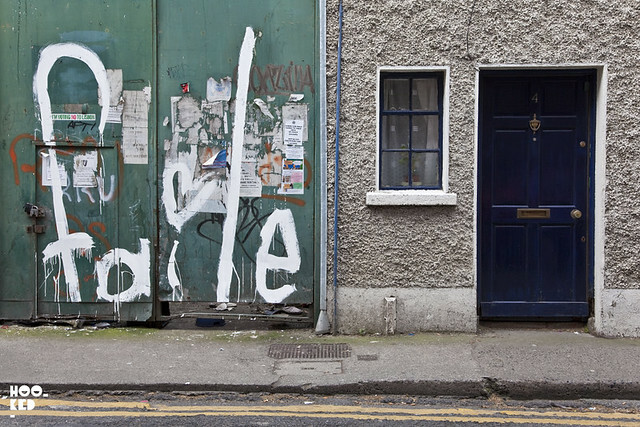 Ji Lee documented the cities responses and shared what he captured via The Bubble Project website. He also briefly spoke about one of our favorite projects 'the Abstractor' which transformed the NY video billboards into a pieces of public art. 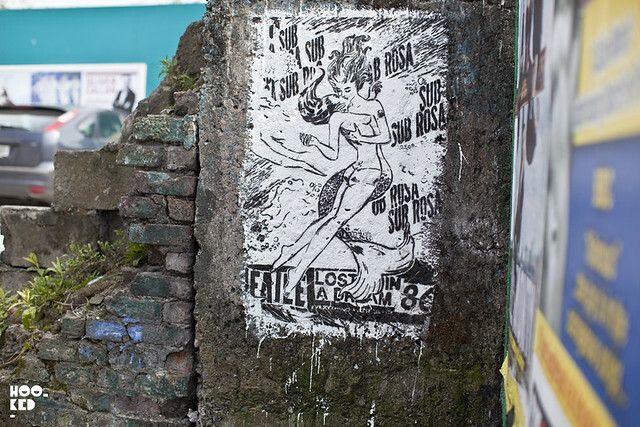 We also enjoyed our chat with Faile and their presentation on the main Offset stage. It was interesting to hear them talk about their latest work "Les Ballets De Faile", a two part epic project with the New York City Ballet at the Lincoln Center. During their presentation on the main stage they talked us through some of the inspirations behind their works and showed how they build up some of their imagery giving us a better understanding of the volume of work that goes into each of finished works. It was also fascinating to see some of the 'never before seen images' / ideas that never made the cut from their archives. With their official Offset work complete, we hit the pub where the two Patricks got down to the more serious business of sampling some Irish Guinness. 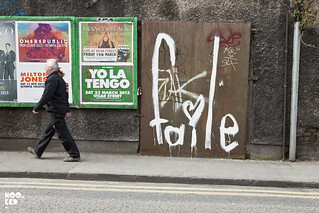 Later this was followed by some unofficial work on the streets of Dublin. 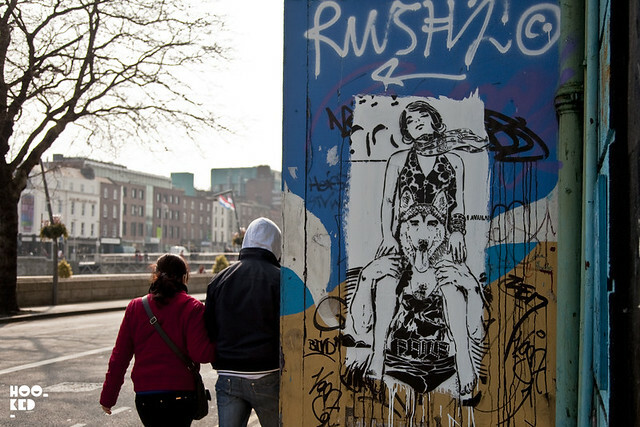 As this was their first visit to Dublin, Faile hit the streets hard with a series of classic Faile stencil imagery going up across the city along with some super sized drippy Faile tags. 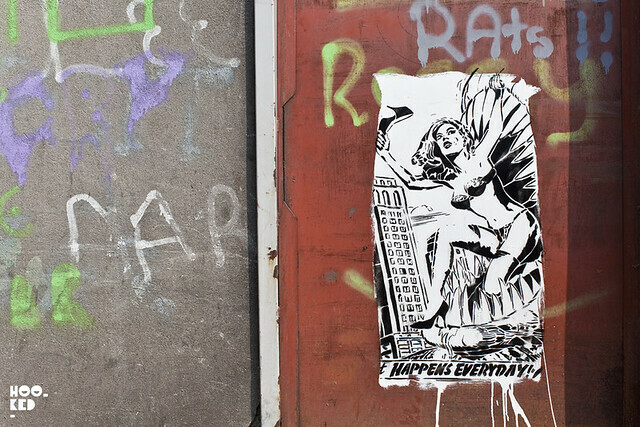 Unfortunately we didn't get the opportunity to capture all of the stencil works as we ran outta time and had to catch a flight back to London, but we have included some of what we did find here. 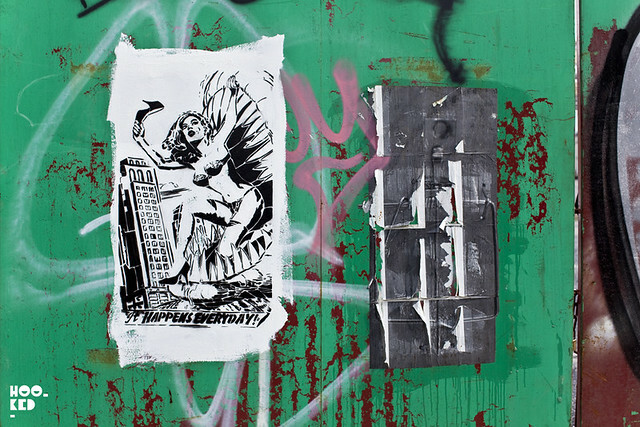 And in case you missed it, the Offset team flew to New York ahead of this years festival and visited Faile at their studio for a video interview, check it below.